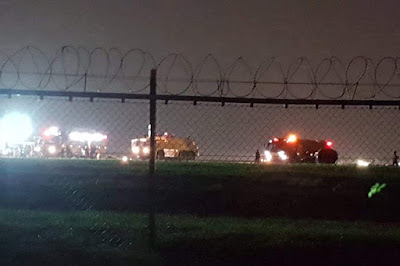 Aviation Updates Philippines - A Boeing 737-800 flight from Xiamen to Manila with flight number MF8667 suffered a runway excursion when it landed on runway 24 at around 11:55pm local time. MISHAP. 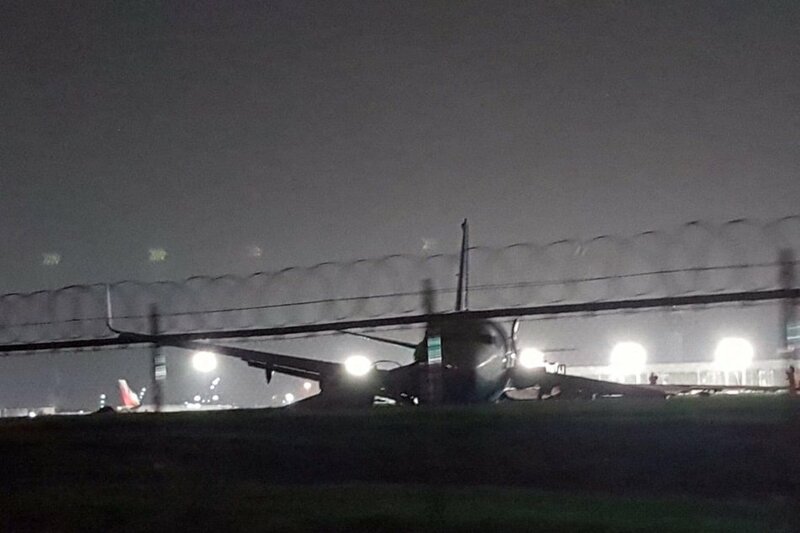 Flight MF8667 operated by XiamenAir from Xiamen, China to Manila, Philippines suffered a runway excursion upon landing at the Ninoy Aquino International Airport amidst heavy rains and wind. Photo by Fire Alert Metro Manila. The unfortunate landing caused the left-hand engine to detach from the wing. Fire and Rescue, Medical, Operations, Safety and Airport police units were deployed to the crash site immediately. According to local news sources, the flight conducted a missed approach on its first attempt before touching down on the second attempt amidst heavy downpour. Around 157 passengers and 8 crew members were on-board the two and a half hour flight from Xiamen. Passengers were evacuated safely via emergency slides. Fortunately, no one was hurt from the incident. EMERGENCY SERVICES RESPONDING. 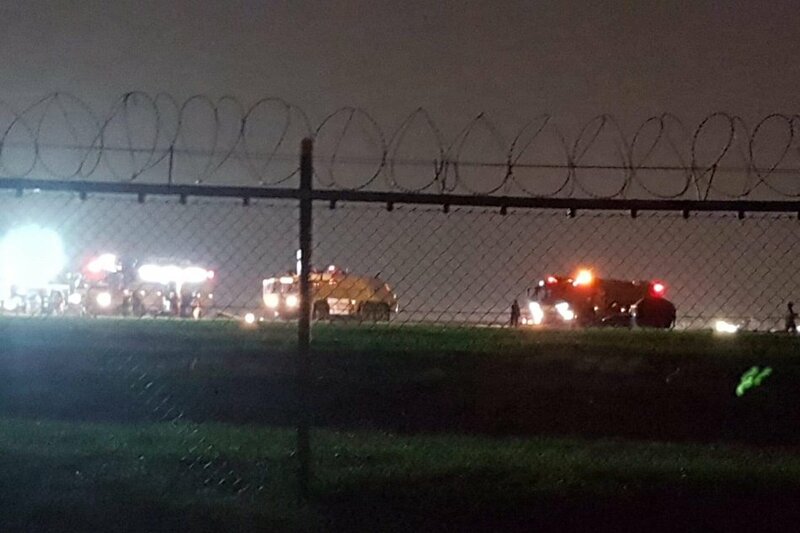 Seen here are fire and crash responding units dispatched by the Manila International Airport Authority. Photo by Fire Alert Metro Manila. The Manila International Airport Authority, on a press release posted online, confirmed that the passengers of the flight were being accommodated by airline and airport authorities as soon as they were transported to Terminal 1. Civil Aviation Authority of the Philippines' Aircraft Accident Investigating Bureau is already on-site to determine the cause of the runway excursion. The disabled aircraft, in result, severely disrupted airport operations across the country. Manila's main runway (06/24) is closed until 12:00nn today until further notice. This means wide-body aircraft operations are not possible since runway 13/31 is only capable of handling jets smaller than the Airbus A320 family. Flights are also being diverted to Clark and Cebu. Airport operations are expected to resume normally in the next few days due to a domino effect it caused to airline operations. For the past few days, the Philippines has been experiencing heavy rains especially in the north. Manila, specifically, is experiencing heavy floods and rains forcing thousands to evacuate to temporary shelters.